It is always an issue buying furniture....Why? Simply because you need to travel to so much different places, different retail shop, different hypermarket or what not just to find a perfect piece of furniture for your home?! Hence, sometimes we always opt for second best choices out there rather than the best choice we could/might find..... Isn't this always the issue? But peeps out there, fear not! 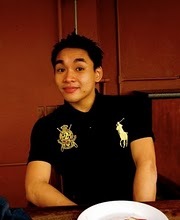 Home24 Malaysia is here yo! Home24 Malaysia's aspiration is to give Malaysia online shopping a different feel. With the focus on furniture, homeware and deco, the user friendly website will optimize your online shopping experience and help make your dream home a reality. Be it for your bedroom, bathroom, living room or kitchen, our online furniture shop will give you a variety of design styles to choose from. While browsing through a seemingly endless array of products in the comfort of your own home you will never be rushed into making a choice. 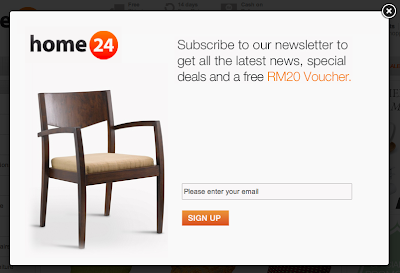 Home24 Malaysia's main goal is to ensure you end up with that perfect piece of quality furniture or homeware that will transform your living space exactly the way you want it to. 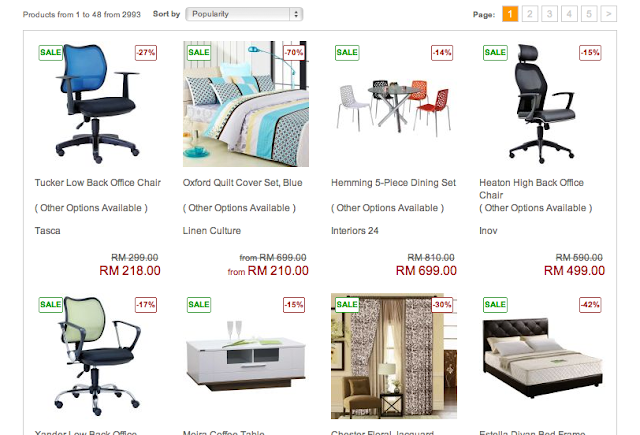 Home24 Malaysia's belief “Find it, Click it, Love it” is just that: Home24 Malaysia want to make your online furniture shopping experience enjoyable and facilitate your search for the perfect furniture item to create an easy, fun and hassle free process. 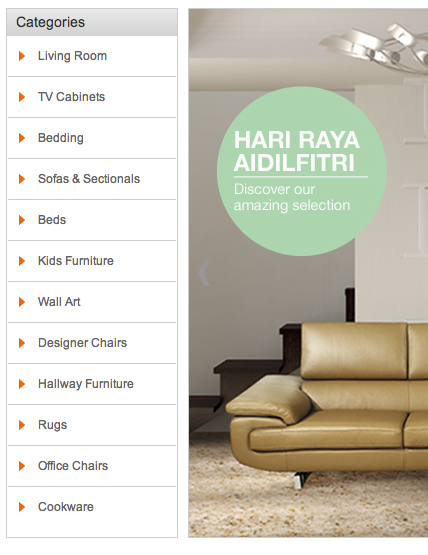 With Home24 Malaysia here.....it makes shopping for furniture much more easier! 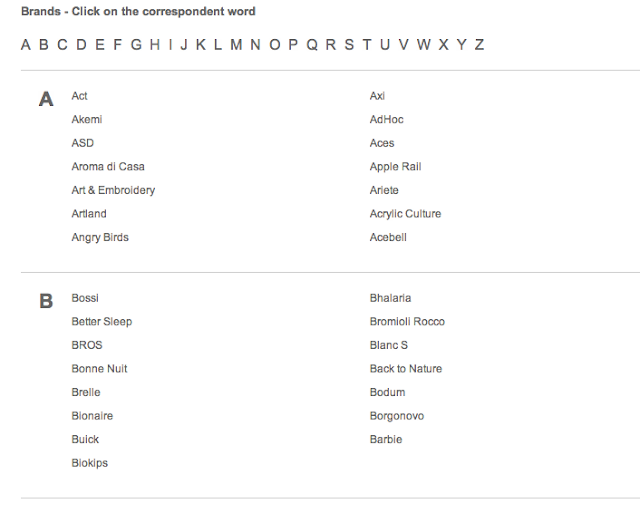 you can just scroll through by categories and slowly look for the perfect furniture that your home needs! easy isn't it?! Budget issue? go to their sales section yo! if there's some particular brand that you're looking at...fear not....just go their brand sections...and it will pop out just like the below..
all you need to do is just to look for the brand that you're interested at, and just click on it...simple as that! for example; if you want to buy this furniture below, you just need to click on "Add to Cart" (the orange bar on the right)...it will the proceed right straight away to your shopping cart! this is the shopping as per mentioned....next, just click "Proceed to Checkout" and your item will be delivered to yourself! 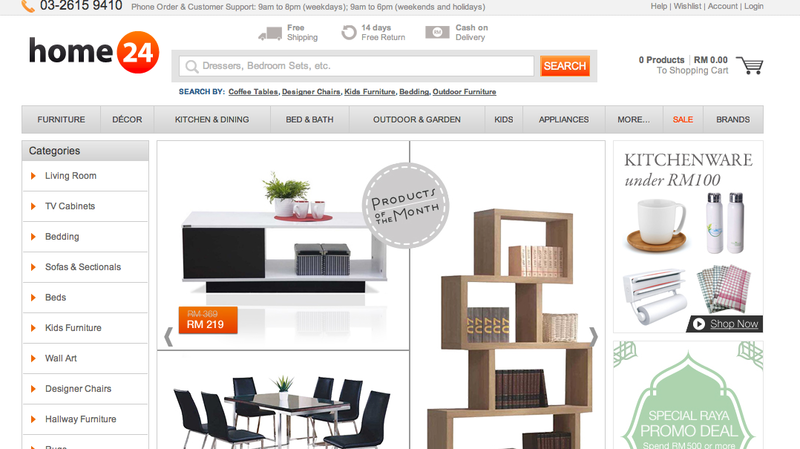 Hence, shop online with ease, in the comfort of your home at Home24 Malaysia, with the seamless and user-friendly website. Imagine having a busy schedule or remodelling your home, you can always take a quick look at Home24 Malaysia at any time, 24 hours a day and 7 days a week. Never worry about traffic jams, long queues or delays. With just a few clicks during your lunch hour or even late at night, the furniture and items you order will come right to you. Home24 Malaysia offer safe, secure and trusted payment methods for a worry free online shopping experience. 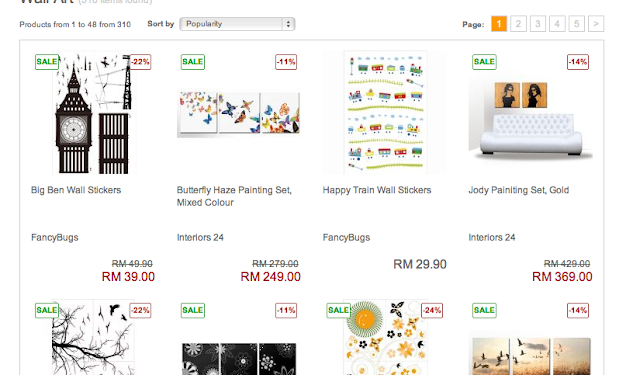 Home24 Malaysia's free local shipping policy ensures that your order will arrive at your doorstep without any hidden costs or additional pricing. Likewise, if the product does not meet your expectations, you can always return your order for free within 14 days. To top it off, Home24 Malaysia's friendly customer service representatives are always ready to help with any questions you may have. 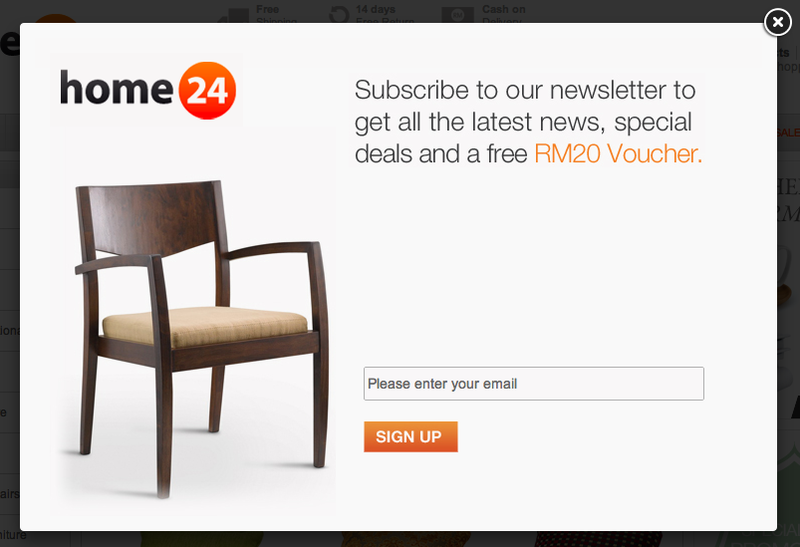 or subscribe to Home24 Malaysia to get all the latest news, special deals and a free RM20 Voucher yo! Hand's itchy now right to shop? !